Spring and into early summer is the busiest time of year for new babies to come into the world. It's my favorite time of year because of this fact! I absolutely love newborn sessions and have met some pretty adorable little babies these past few months - with super sweet parents and big siblings as well! Baby S is no exception. 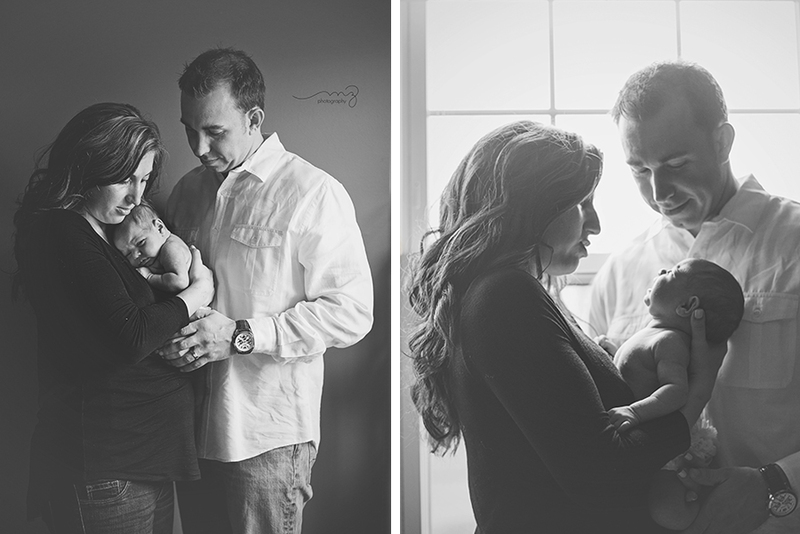 This sessions was shot at the clients home, so no travel was needed for mom, dad and big brother. I was instantly in love with the very rich, vibrant walls in the master bedroom so we shot a lot of images in that space. The contrast with the white shirt against this wall really speaks to me. We made sure to get plenty of big brother shots - some traditional and some a little more fun! There is always a little bit of worry on how the older siblings will react during the session - more from the parents than from me! We had Grandma on hand and lots of engaging conversation to get some really memorable shots. He's going to be a great big brother - don't you think? The rest of our time together was spent getting adorable mommy and baby, daddy and baby, mommy, daddy and baby, and of course - baby on her own. It was a wonderful day, and a really beautiful session. I hope you enjoy.